At the nearly full-to-capacity, half-seated, half-standing venue the atmosfolk pair of Morgan MacIntyre and Gemma Doherty, along with their band, showcased their well known catalogue, played a Divine Comedy cover and previewed some newly recorded material. Support on the night came from Rosie Carney, a 19 year old singer songwriter from Hampshire, UK now living in Donegal, Ireland. She shyly takes to the stage and introduces herself so meekly that I don’t even catch her last name. Her beautifully heartfelt songs began mostly in the same fashion; gently strumming or plucking out some notes on the guitar. It’s not until her voice kicks in that the crowd are immediately gripped. Any noise or chatter quickly quietens down as the crowd listen intently to her well crafted stories which evoke scenes inspired by the beautiful landscape that surrounds her in Donegal. With the crowd warmed up and ready, Gemma & Morgan and their backing band take to the stage.The group then launch into a set that sounds both polished and impressive. They seamlessly move between ethereal electronics and blissful folk, blending a modern synthesised sound with the purity of the harp. They play the majority of the set as a duo using merely the harp, (played both percussively and melodically) a loop effects pedal and their seemingly effortless and natural vocal harmonies to captivate the crowd, lulling us all into a state of bliss. They call on the backing band then to really take it to the next level and drown out any noise bleeding in from the downstairs bar with a deep synth bass sound. It doesn’t matter however as it is clear that everybody in the room is in awe of the pair already. 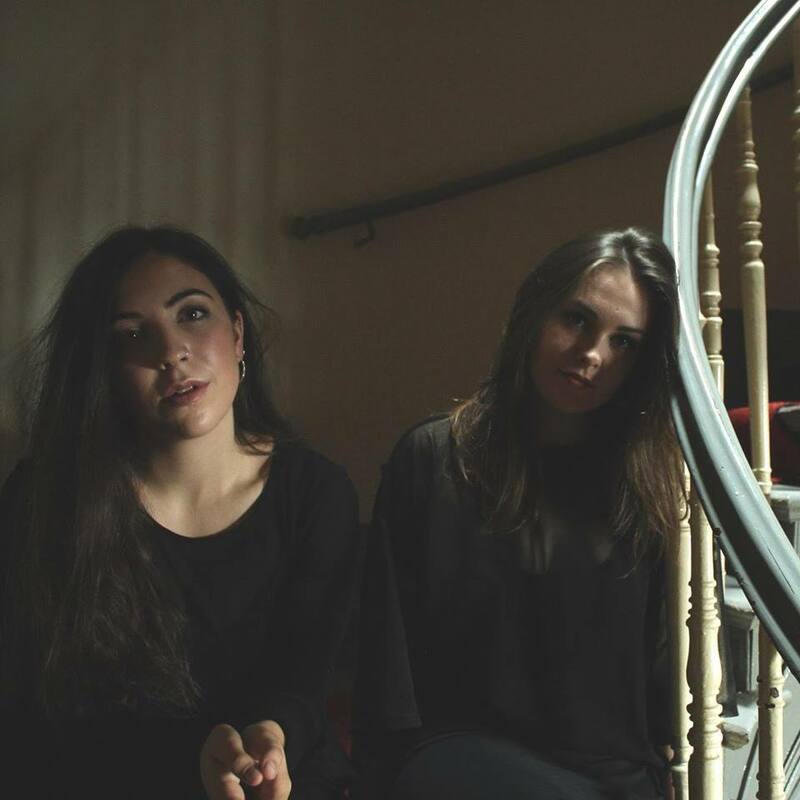 They tell us how this feels like coming home for them in a way as they first played together in TG4 studios in Galway and the crowds warm reception certainly reflects that feeling of coming home. Its hard to believe this is the band’s first headline tour and first headline Galway show. The standout song of the night for me had to be ‘Corpses’, the b-side to their latest single ‘Tin-Man’. They describe the two songs as opposites to each other. ‘Tin-Man’ being about the ‘feeling of waking up from a nice dream and that feeling staying with you throughout the day’. While ‘Corpses’ is a song based on a dream Morgan had about the rituals and cycles of life, and the people we choose to go through those cycles with. She describes it like ‘the feeling of waking up from a bad dream.. like Today’ (in reference to Donald Trump winning US presidential election). The haunting lyrics ‘darling I have tried to fix you/ I can’t count the times that I’ve kissed you’ stick in my head as I leave the venue, highly impressed. This is a band I will certainly be checking out again and urge you to do the same should you get the chance. 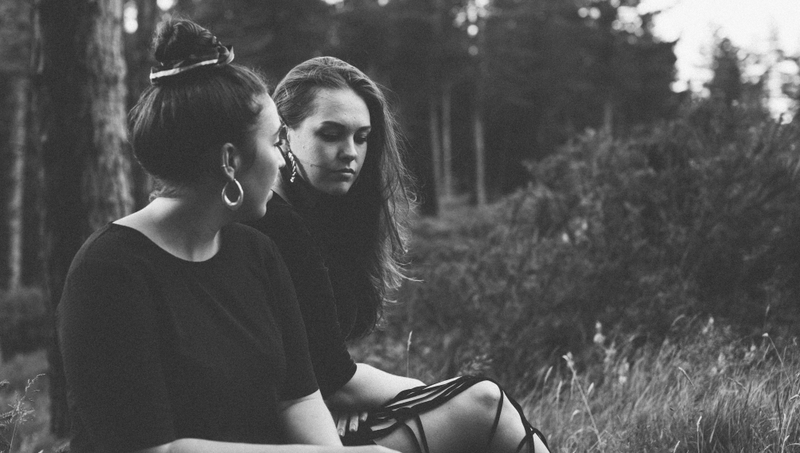 You can listen to Saint Sister’s debut EP at their Breaking Tunes page and follow the rest of their UK & Ireland tour by following them on Facebook. I simply want to tell you that I am just beginner to blogs and honestly savored you’re blog site. Most likely I’m going to bookmark your website . You definitely come with wonderful well written articles. Kudos for revealing your blog site. I simply want to mention I’m newbie to blogging and truly enjoyed you’re web-site. Likely I’m likely to bookmark your website . You absolutely come with good articles. Thank you for sharing your website page. Whats up very nice blog!! Man .. Excellent .. Amazing .. I will bookmark your web site and take the feeds also¡KI am glad to seek out so many helpful information right here in the put up, we want work out extra techniques in this regard, thank you for sharing. . . . . . It is in point of fact a nice and helpful piece of info. I am happy that you simply shared this helpful info with us. Please stay us up to date like this. Thank you for sharing. I have been surfing on-line greater than 3 hours as of late, but I by no means discovered any interesting article like yours. It¡¦s pretty worth enough for me. In my opinion, if all web owners and bloggers made excellent content as you did, the web shall be a lot more helpful than ever before. Someone necessarily assist to make seriously posts I’d state. That is the first time I frequented your website page and to this point? I surprised with the analysis you made to create this particular put up amazing. Excellent task!